The Band is unusual in that it charges no band subscriptions to its members! 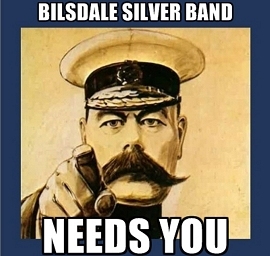 Joining the band provides a unique opportunity to join a group of amateur musicians based in Bilsdale in the North York Moors National Park, playing in a truly rural band that has been thriving for over 150 years. Please contact us if you are interested, or want more information.